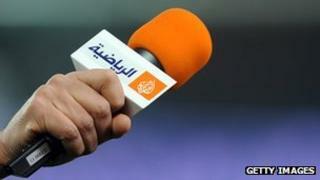 Al Jazeera has acquired Current TV, the cable television network founded by former US Vice President Al Gore. The Qatar-owned broadcaster plans to replace Current with a new Al Jazeera America news channel based in New York, doubling its US-based staff. Al Jazeera has been struggling to gain more viewers in the US. Launched in 2005, Current is at present available in about 60 million US homes. The deal was reportedly worth about $500m (£308m). Al Jazeera said that almost 40% of all online viewing of its current London-headquartered Al Jazeera English news channel comes from the United States. Soon after the deal was announced, Time Warner Cable dropped Current from its line-up, indicating the struggle that Al Jazeera may face in expanding in the US. "Our agreement with Current has been terminated and we will no longer be carrying the service. We are removing the service as quickly as possible," the nation's second-largest TV operator said. It had warned it would drop Current in the past due its low ratings. The broadcaster, which is funded by the government of Qatar, first gained popularity after it aired videos of Osama bin Laden following the 9/11 terrorist attacks. Its willingness to show "martyrdom" videos and footage of attacks against US troops has not endeared Al Jazeera to some on the US right, who have labelled the network as anti-American propaganda. In 2010, Al-Jazeera English blamed a "very aggressive hostility" from the administration of former President George W Bush for reluctance among US cable companies to show the network. But Secretary of State Hillary Clinton praised the network as "real news" in 2011. The English language version of the channel can be viewed online in the US, and on TV in select cities. It has tried to expand its reach in the past. In 2009, it launched an online web petition for viewers in the US and Canada to lobby their cable providers and pushed again for its own channel during the Arab Spring protests that began in 2011. In a joint statement, Current's co-founders Al Gore and Joel Hyatt said of the deal: "Current Media was built based on a few key goals: To give voice to those who are not typically heard; to speak truth to power; to provide independent and diverse points of view; and to tell the stories that no one else is telling. "Al Jazeera, like Current, believes that facts and truth lead to a better understanding of the world around us."